Pictured above Roger is performing for Gillian Taylforth at the Care after Combat ball at the Dorchester Hotel London. If you want some wedding reception entertainment, Roger regularly performs as a wedding magician performing his close up magic to all your guests. A close up magician is someone who performs tricks and illusions to small groups of people right in front of their eyes. Using everyday objects like cards, coins, rubber bands and rings etc a close up magician can perform mind bending tricks where you just cannot see how it is done. Sometimes referred to as an illusionist or close hand magician. Roger will perform to small groups enthralling them with his close up magic. How to book a Magician? If you would like to enquire about hiring Roger for your next event please get in touch using the contact page, all he needs to know is where and when and for how many guests. Roger performs at many different events but the most common ones are Weddings, milestone birthday parties e.g 21st, 30th, 40th, and the most common being for 50th birthday party entertainment. he also performs for summer balls, golden wedding anniversaries, bar mitzvah entertainment and bat mitzvah, for house parties and a lot in restaurants. How do you become a Close up Magician? Roger started performing magic when he was about 6 years old when he received the iconic Marvins Magic Set for Christmas. This is a world famous box of tricks for children and if your little ones or big ones are interested in magic then this is a great way to get them started. He started working through those tricks on Christmas day and by the afternoon had worked out how to do a few with some help from his dad and performed a small show in the evening. From that moment on he was hooked but it wasn’t until he saw a professional Close up Magician performing at a wedding ten years later that he really thought this is what he wanted to do. He spoke to him after he had finished and he taught him a trick that he still uses today, he also advised him to join a local magic club and to just keep practicing. 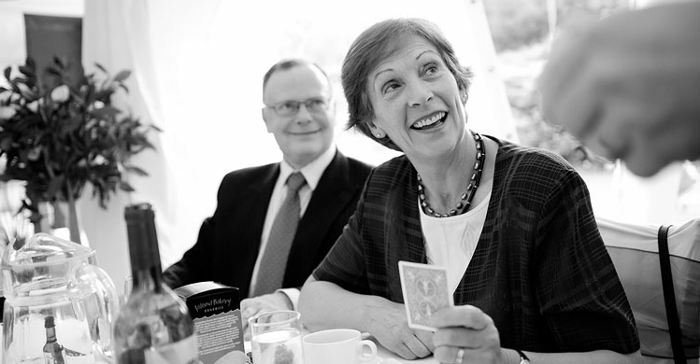 Roll forward 20 years and Roger is now a close up magician for hire, and regularly perform at corporate events, weddings and parties in London, Surrey, Sussex, Hampshire, Berkshire and Dorset. If you are looking to hire a magician for an event that is further afield he is more than happy to travel to be a part of your entertainment. He tries to base his work in and around the south coast but also regularly works with some of the best Magicians in London. If your event has over 150 guests then you are going to need to hire multiple close-up magicians. Roger can book as many as you require. Typically you would need to book one magician per 150 guests for a 2-3 hour performance depending on the size of the event. Roger also performs as a Table Magician, but this is basically a Close up Magician performing whilst people are seated. The most popular question he gets asked is how much do close up magicians cost? Well this all depends on where your event is, how many guests you are expecting and what day of the week it is. Every event is different. So for your personalised quote head over to the contact page. One of the most popular locations for hiring a magician is in London. A coporate magician is somebody who is hired to perform at a corporate event, typically a ball, presentation ceremony or high profile event. This typically means the organiser is looking for a close up magician with experience and somebody who can handle the pressure of many guests and performing for celebrities and high profile guests. Companies providing entertainment for clients could be arranging a special evening to celebrate the completion of a big deal or the evening before a big presentation. If you are performing for this event you need to ensure you are delivering 100%. Please note Magician is spelt with two i’s and not Magican as some people do!